Like dental implants, dental bridges are used to replace a missing tooth, except bridges are supported by the teeth on either side, called abutment teeth. Cantilever bridges are used to replace a tooth that does not have supporting teeth on both sides of the affected area. Maryland bonded bridges include artificial teeth and gums, and are held in place by a metal frame. 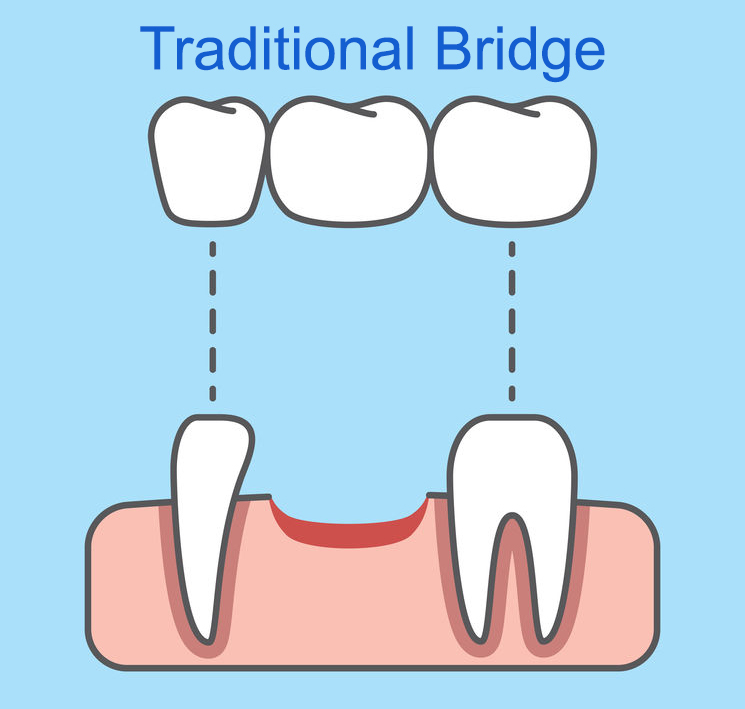 Traditional bridges are the most common, and literally bridge the gap of an empty tooth space by securing a false tooth using crowns on the teeth on either side. 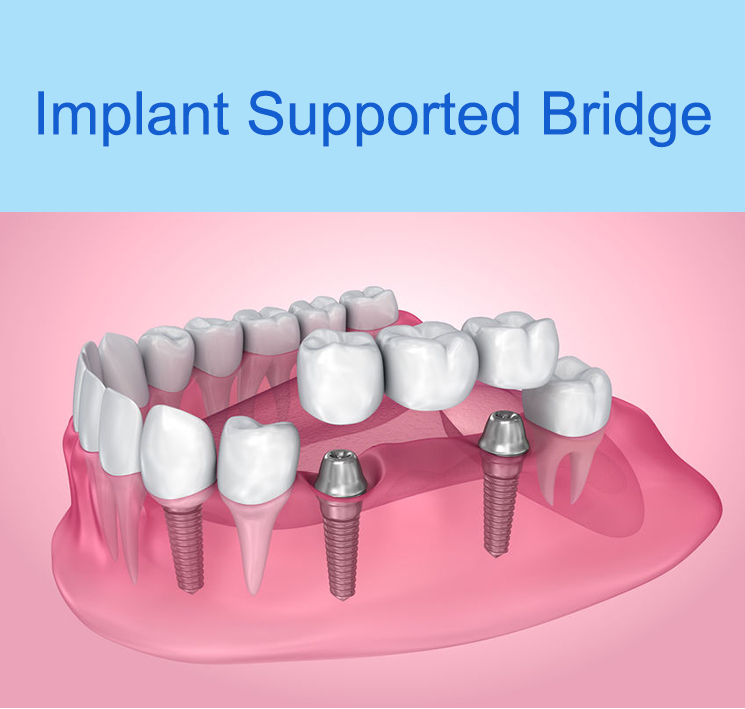 Implant supported bridges are the best option when many teeth are missing. The procedure of installing a dental bridge is typically completed in two visits. First, your dentist will determine if you are a good candidate for a dental bridge. If you are, your teeth will need to be prepared by reshaping or reconstructing any badly decayed or damaged areas. Afterward, your dentist will take an impression of your teeth, which is then sent off to a lab where it is cast into a mold, and he will usually give you a temporary bridge to wear. On your second visit, the mold will be fitted to your teeth, and any necessary corrections or adjustments will be made on that same visit. Depending on various factors such as the experience and skill level of the dentist, and the type of bridge being fitted, dental bridges can cost anywhere from $250 to $2500 a tooth. To find out more about bridges or to schedule an appointment with Wave Dental, please call us today!